The Phantom Quartet is an idea I've had for quite some time. I put together a schematic which incorporates Pete Edwards' step sequencer. My original post with the schematic can be found here; and Pete was kind enough to post it here and here. [click for larger]I noticed that I already had a few 4017s so I wanted to finally have a go at making a sequencer. The only downside was that I accidentally ordered SMD 4017s (a mistake I used to make often) instead of DIP. 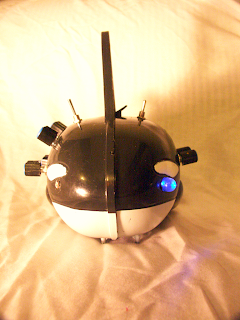 So to get around it, I crafted the little monster pictured above. I am expecting the parts for the actual step switches and everything in the next few days. So stay tuned for prototype A! StudioFactory is a (free!) 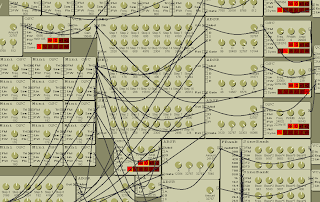 virtual analog modular synthesizer (and much more). I recommend it highly and absolutely love the sounds I can get out of it. I used it along with a guitar to make the following little glitchy song. The clips are just random pieces of video from my everyday life. Hello, and apologies for the tardiness of this update. This is the Orcasynth; a digital synth (based around a 40106 hex inverter) with optional clock or photoresistor duty-cycle control. [click for larger]The synth circuit is a modified version of Hackaday's design, and the clock is just a simple 555 clock. The side with the LED and 2 knobs (speed, and high time) is the clock. 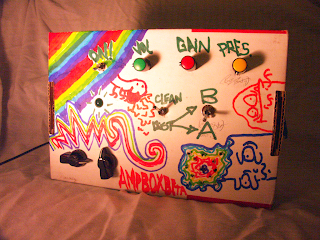 The side with the photoresistor and 4 knobs (frequency, duty cycle, lfo speed and lfo pitch) is the synth. [click for larger]The switch on the clock side is power. The switch on the synth side changes between either clock to duty cycle modulation, or photoresistor to duty cycle modulation. There are also two humorously-placed jacks; clock-out and synth-out. Since the two circuits are only connected by a makeshift vactrol, the clock-out is clean and isolated. [click for larger]But that is for another day.